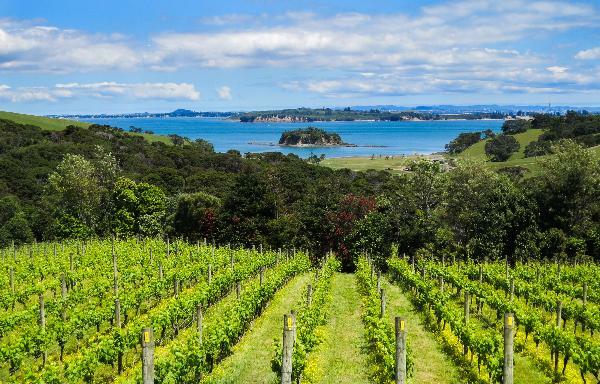 Cable Bay Vineyards on Waiheke Island is dedicated to producing hand-crafted New Zealand wines known for their subtlety, elegance and depth. Taking an old world approach and combining it with new world techniques, Cable Bay's opulent wines are a stylish reflection of the land where they began. Overlooking the working winery below, Cable Bay’s Cellar Door is the perfect place to taste a range of the vineyard’s award-winning wines. With a team of experienced staff to guide you, you’re sure to receive an exciting and authentic vineyard experience—whether you’re a wine novice or wine connoisseur!